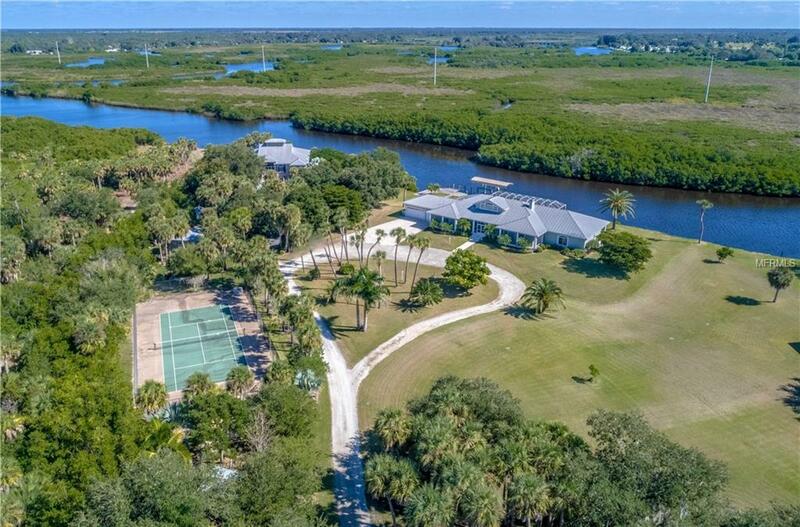 ULTIMATE PRIVACY ABOUNDS AT THIS STUNNING FLORIDA ESTATE ON OVER 4 ACRES WITH 278 OF WATER FRONTAGE WITHIN A FEW MILES OF DOWNTOWN PUNTA GORDA! ENJOY YEAR-ROUND BOATING IN DEEP WATER WITH ACCESS TO CHARLOTTE HARBOR LEADING TO THE GULF OF MEXICO!! Room to build separate mother-in-law home on property. Elegant 3/2/3 custom waterfront pool home features open great room with sprawling cathedral ceilings, contemporary formal dining room, inviting living room with a 24 pocket slider to enjoy the serene water and preserve views, gourmet chefs kitchen boasts dual convection ovens, sub-zero refrigerator, six-burner propane stove, custom cherry cabinets, marble stone counters, pass-thru window to lanai, large center island and breakfast bar. 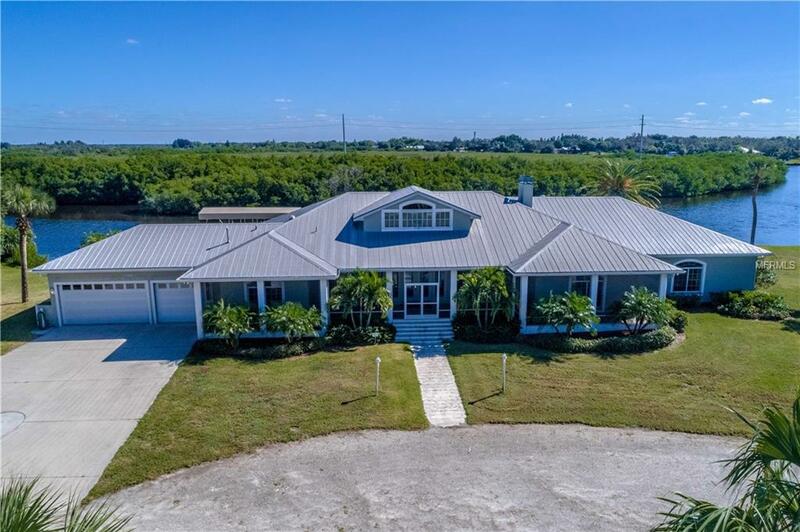 Exceptional master suite, over 900 ft. with massive walk-in closets, sitting area, fabulous water view and spacious private ensuite with custom tile, dual sinks, jacuzzi tub, large glass walk-in shower plus pool access. Guests can enjoy privacy with two guest bedrooms and full guest bath on opposite side of home. The bonus room can be easily converted to 4th bedroom. Expansive outdoor entertaining area features covered lanai with summer kitchen and oversized titanium heated pool, 10 ft at deep end. Private boat ramp, 10,000 lb. covered lift & 600 sq. ft. barn w/electric for workshop. 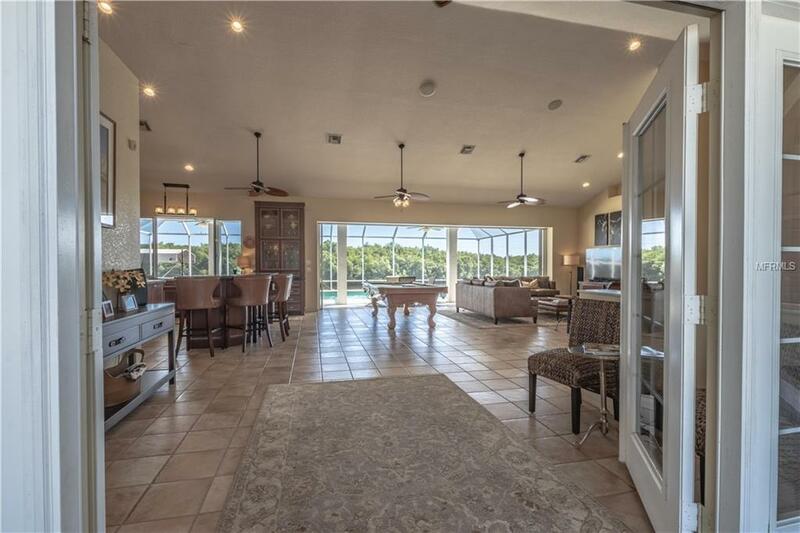 Private drive and full usage of shared tennis court with no maintenance. 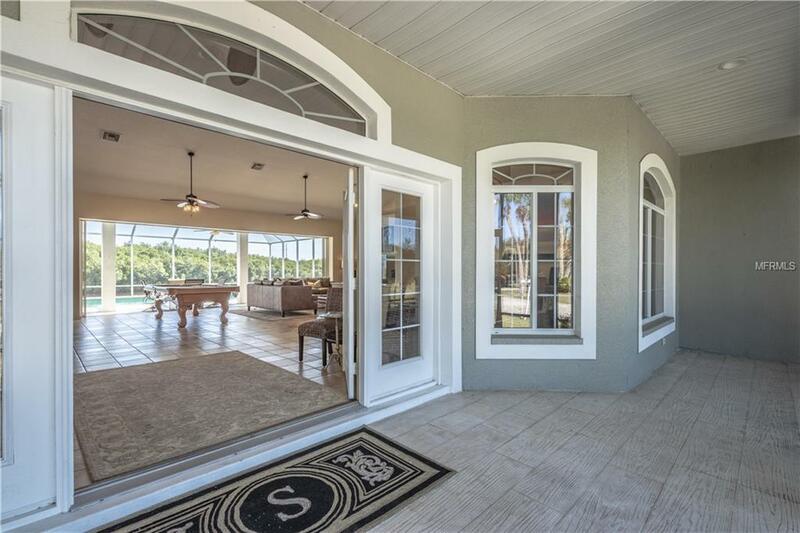 Only 10 minutes to restaurants, shopping and a short drive to all amenities SWFL has to offer.